Dhruv Garg is a senior software engineer at Netflix where he and his team focuses on building large scale fault tolerant distributed systems that collect, process and provide access to high quality data about playback experiences. Access to this rich dataset (viewing history, bookmarks, etc) drives data-informed innovation in content discovery, streaming operations, personalization and business partnerships. Prior to his current role Dhruv worked in the financial industry building mission-critical large scale, high volume and low latency financial trading platforms in varying setups ranging from order management and execution to market surveillance in realm of fraud detection. 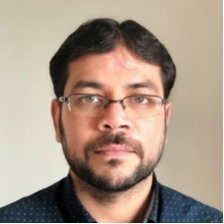 Dhruv Garg is speaking at the AI & Big Data Expo North America (28-29 November 2018).